Jump on the deck! 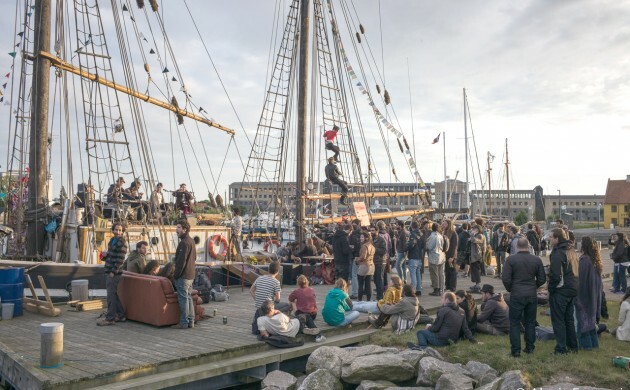 The 91-year-old sailing ship Hawila is throwing a mega festival, rolling continuously until Sunday with an intense program of participatory workshops and music dance performances, all under the themes of sailing energies and sustained abilities. On Hawila, you have the chance to turn your long-forgotten clothes into pieces of artwork by printing your very own design on them, learn to make a sailor’s rigging bag applying various knots and rope techniques, take a close look at the harbour sailing on the water and more. As well as the daily workshops that, the line-up includes live music, dancing and performances. Juan Pino – drum player, singer and poet – is turning Hawila’s cargo into a concert hall on Thursday night, starting at 7:30. Following at 9, the Iranian musician and composer Alireza Mortazavi, who has dedicated his entire life to the santur (a hammered dulcimer of Iranian origin), will show off his talents commanding the instrument’s 72 strings. You don’t want to miss it! Don’t be alarmed if you see people dancing and/or singing on a rope or mast on Friday night. The Sailing City crew – a group of dancers, musicians, performers and activists – connect art with activism to communicate present-day climate issues via movement and sound. All the activities are free of charge and for all ages. Hawila can be found close to Den Blå Planet.